Many users that used Samsung Galaxy S mobiles have problem with this type especial Samsung Galaxy S7, Samsung Galaxy S7 Edge,Samsung Galaxy S8. On of the most problem that most all users have is Samsung Galaxy S7samsung galaxy s7 black screen or as known Samsung galaxy s7 black screen of death. 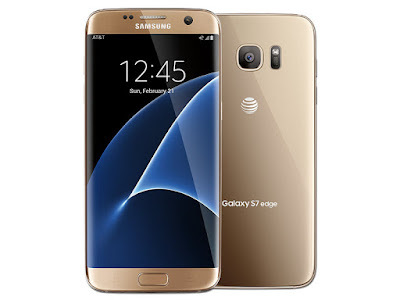 In Below steps i will try to troubleshoot with you this problem and i hope you will know how to fix Samsung galaxy s7 black screen of death. The black screen of death problem is very complex as it might be an issues with the hardware itself or it could be also an issue with the firmware version that installed inside your Samsung Galaxy S7 edge or Samsung Galaxy S8. Press and hold the Volume Down and Power keys together for 10 seconds and wait for a minute to see if the phone reboots normally. Let’s still assume the problem is just a glitch but your phone may have run out of battery. So, try to plug it in and leave it that way for 5 minutes regardless if it shows the charging signs. After that, press and hold the Volume Down and Power keys again. If the battery was all drained out and the phone crashed, naturally it won’t respond to whatever you do with it. In this step, we’re giving the phone a stable power source and trying to refresh its memory with Forced Reboot procedure. If it still won’t respond after this, then move on to the next step. Press and hold the Power key past the Samsung Galaxy S7 edge screen. If your Mobile still remains unresponsive even if you tried booting it up in safe mode, then you should try it. The Android system recovery environment is actually the fail-safe of any Android device as it allows you to perform procedures that will greatly affect the firmware. If your phone can successfully boot up in this mode, then you should try wiping the cache partition first. If that won’t work, then do the master reset or as known hardware reset mode. When the phone powers on, the Android System Recovery screen appears approx. 25 seconds. Release all of the keys. Press the Volume down key to highlight “yes” and press thePower key to select. Samsung Galaxy S7 Black Screen,Samsung Galaxy S8 Black Screen,Samsung Galaxy S Black Screen,samsung galaxy s7 black screen of death fix.